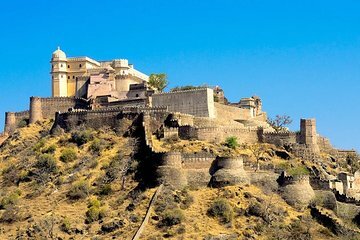 Travel back in time on this incredible tour that showcases the best of Rajputs and the great Kumbhalgarh Fort. You'll follow your guide through the 15th century and learn about how this invincible fort held its own against numerous armies. Hear how it required three combine states to overthrow its walls. Next, visit the Ranakpur temple and learn about Jain tradition from your guide as you navigate the white marble interior and marvel at the more than one thousand unique columns that decorate this stunning landmark.